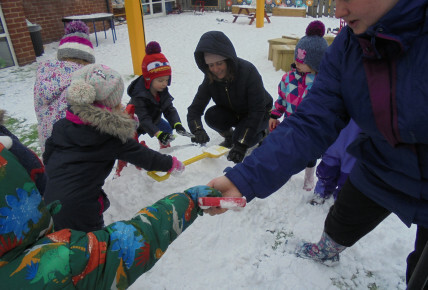 The wintery spell that has come to visit has given the children lots of opportunities to wrap up warm and explore the snow and ice outside. This has been great for developing independence, encouraging them to try and put their own hats, gloves and coats on, and for exploring the world around them with their senses. 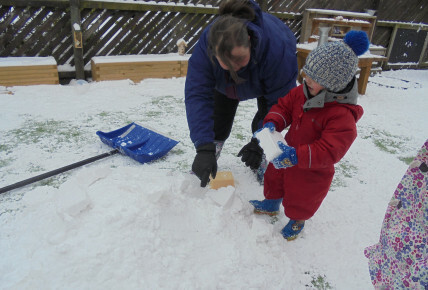 We've been building snowmen and snow penguins too! 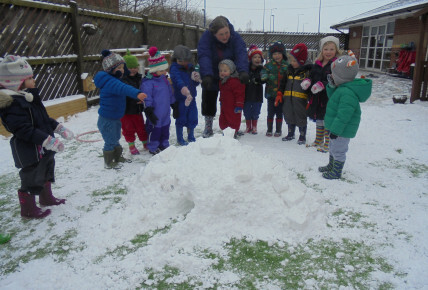 The Foundation Class have been learning about lifestyles and homes around the world, and decided to work together to build an igloo. They were even able to create rectangular blocks using toy storage containers. They discussed why there were no igloos in our country, and the people who live in them. It has been great for stimulating conversation around different cultures and sharing their own experiences.